Lady Gaga presents her first fragrance in collaboration with her own The Haus Laboratories Paris and fragrance company Coty. 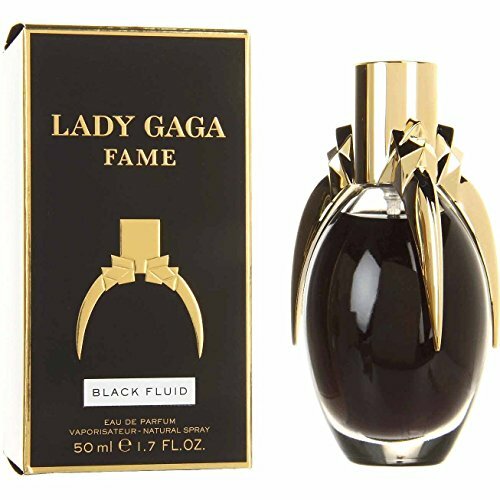 The perfume, called Fame, comes out on the market in Sept 2012. Fame is composed in an unusual way; the fragrance does not respect the pyramidal structure of the composition, but uses so-called "push-pull technology” by which the ingredients are mixed to highlight different aspects of each fragrant note at the same time, without any hierarchy. The fragrance is built on three main accords: dark accord, sensual accord and light accord. The dark accord includes poisonous flower Belladonna and incense, which evolve into the sensual and opulent wave of honey drops, saffron and apricot. A floral veil of Samba jasmine and tiger orchid embody light and beauty. The liquid of the perfume is also innovative—it is colored in black but becomes invisible when it touches the skin. Just like the fame itself: "It’s black like the soul of fame, but invisible once airborne. " The bottle is designed in collaboration with Nick Knight, and advertising campaign is shot by Steven Klein. The fragrance is available as Eau de Parfum. Note: Perfume review pages are designed for essays or posts that give a critical evaluation of a fragrance you have smelled, know and have formed an opinion of, based on your own experience. Abuse of the ratings or reviews features may get you banned from access to the website. This product is manufactured in Spain. If you have any questions about this product by Lady Gaga, contact us by completing and submitting the form below. If you are looking for a specif part number, please include it with your message.